Chaweng in Koh Samui is known as the most vibrant and busy tourist area on the island. With its own private gardens " Baan Suaan Serenity" is close to several beaches in the tropical heart of the south of Samui. Take a dip, simply relax or sunbathe by the pool.Perfect family hide-away. 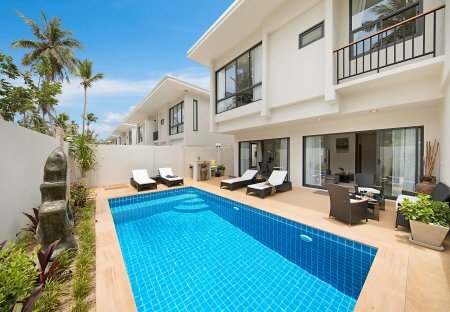 Located in Ban Tai on the north coast of Koh Samui, this modern 3-bedroom villa has a private swimming pool and is located a short distance from the beach. 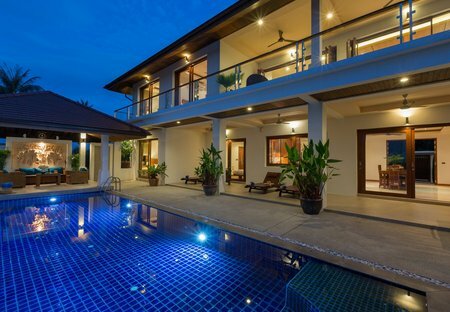 Situated on a stunning hillside just a short drive from Chaweng, this is a centrally located 3-bedroom villa that enjoys a garden and private swimming pool.